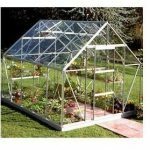 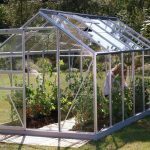 This 6 x 6 silver aluminium greenhouse is a traditional looking greenhouse. 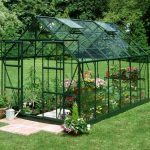 It also has a vent, which allows you to carefully control the climate inside the greenhouse. 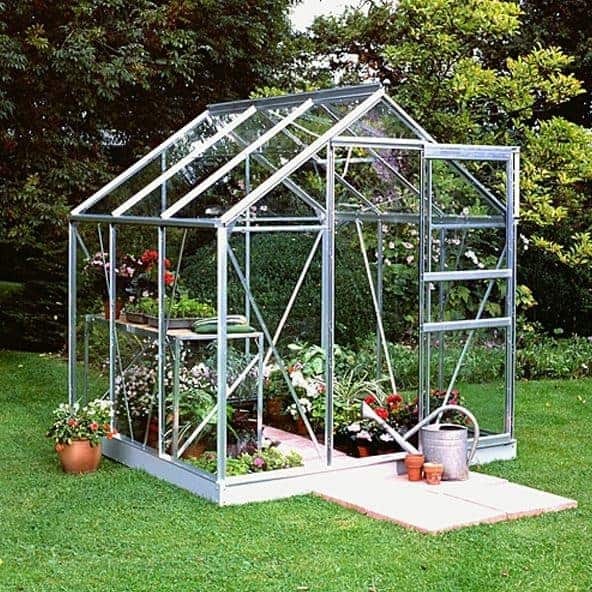 This means you get better planting, and a much more satisfying experience all year round. 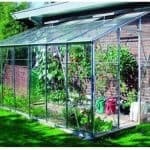 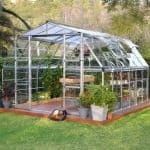 There is also a steel base option that you can have as part of your greenhouse, which makes it easier to install and adds to the overall durability of the greenhouse. 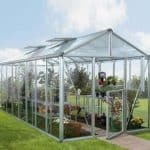 The building comes complete with a 10-year warranty for extra reassurance, and there is an integrated gutter system included to stop rainwater from being a problem in your greenhouse.